VHS gives you the look of real video tape – inside your favorite editing program. By simply dragging and dropping VHS onto your clip, you can quickly create the iconic look of the 70’s, 80’s and 90’s home video. 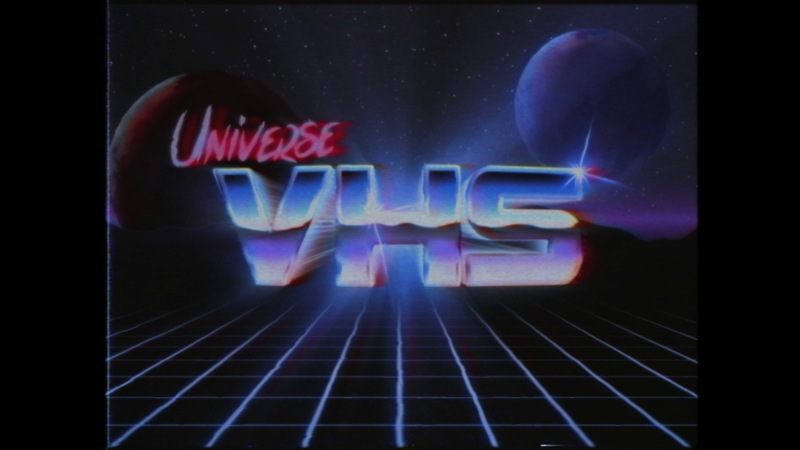 Real analog source material was used to create the unique textures in VHS, which means that you can create the true color, distortion and damage seen in old video. VHS now has the options to remove all color adjustments applied to your clip, as well as text generation that mimics the look of old title effects. Drag the uni.VHS effect onto your clip. Preset drop-down menu presets give you 17 premade looks based on authentic tape stock emulations. Bring your modern footage all the way back to the late 70’s through the 90’s with various effects and retro looking distortions. Enable Color Controls toggles whether color adjustments applied to your clip (Note that Tape Damage and other effects below may still affect contrast, brightness, or muted variations on the shot). The Black Level slider provides the most contrast when set to 0 and lightens the overall footage when brought up towards 100. Bring the Saturation control down to 0 to completely desaturate the color from the footage and make the image black and white. Turn it up to 200 to oversaturate color in the footage for a stylized look. Sharpen Radius slider controls the diameter of the areas sharpened by the effect. Sharpen Mix slider adjusts how much or little the sharpness is overlain on the shot. Use the Chroma Offset X and Y to move the position of the chroma up, down or left and right. Chroma Weave X and Y allow you to create some movement of the color channel by oscillating the chrominance. Control the speed of the Chroma Weave by using the Speed X and Y controls. Channel Controls: The Color channels can also be offset using the Channel Control group. The Red Offset, Green Offset, and Blue Offset sliders will move the selected channel to the right when brought up to 100 or left when turned down to -100. The color channels can also be blurred individually using the Red Blur, Green Blur, and Blue Blur controls. Color Mix slider controls how blended the color adjustments made above go into the footage. Enable Tape Damage toggles whether the artificial Tape Damage (customized below) is created on top of your shot. Adjust Noise Scale determines the size of the artificial noise blanket that covers the shot; higher values result in a bigger noise texture, smaller values result in a finer noise texture. The Frame Jitter control will move the edges of the video footage away from the frame more frequently when turned up to 20 or set the control to 0 to eliminate the jitter from the effect. The Interlace Error controls add horizontal colored lines to the footage to recreate the effect of interlaced scan line distortion. Change the color of the lines using the Color 1 and Color 2 picker tools. The Offset control allows you to manually offset the image sequence of the tape noise defined in the Tape Noise Type. You can increase the effect of the Tape Noise Type by turning the Tape Noise slider up to 100, or keep the number low for a more subtle Noise look. The Distortion control takes away detail from the image for a more lo-fi effect when increased. It uses a displacement map effect based on the luminance of the selected tape noise. Turn on the Wrinkle Distortion checkbox to periodically add the effect of folded tape on the screen. The Scroll Speed control sets how quickly the folded distortion moves vertically through the screen. The Percent Chance slider sets how likely the effect is to appear on the screen. Increase the Wrinkle Radius control up towards 20% to make the wrinkle effect larger. Show Status toggles whether the status is shown at all. Include Icon toggles whether the icons are shown alongside the status. Status Position contains adjustable coordinates that dictate where on the screen the status is shown. Blink toggles whether the status switches on and off. Blink Speed adjusts how fast the status blinks. Show Counter enables an artificial timecode. Format adjusts the formatting of the time code where HH, MM, SS, and FF is Hours, Minutes, Seconds, and Frames, respectively. Timecode Position contains adjustable coordinates that dictate where on the screen the timecode is shown. Time Offset sets the time shown on the timecode. Show Speed enables the Speed Abbreviation status. Text Speed Position contains adjustable coordinates that dictate where on the screen the Tape Speed is shown. Text Shadow toggles whether the VHS text has a dropdown shadow. Text Size adjusts the scale of the text over the frame. Fill Color customizes the color of the Solid Color above using a swatch or eyedropper tool. Source lets you decide whether the text's source is coming from the Tape or the VCR, which ultimately affect whether the VHS effects affect the text as well as the footage (Tape), or if the text is unaffected by the VHS stylization and is coming from the VCR itself (VCR). The Frame Style drop-down menu lets you choose between a 4x3 aspect ratio, which will crop anamorphic and HD footage, or set it to Original to keep it in the aspect ratio the footage was originally shot. The Image Offset control will allow you to slide and reposition the footage to the left or right of the frame. This can be useful for bringing cropped parts of the footage into the frame when using the 4x3 setting or creating a shaky, distorted effect when keyframe animated. The Tape Style (LUT) drop-down menu includes presets to change to the kind of VHS tape being emulated in the effect, via a 3D LUT captured from the following tape formats: VHS, Bad VHS, S-VHS, U-matic, Beta, or None. Post Noise modifies an additional, less stylized noise layer on top of the Tape Damage and other VHS effects. Render Alpha toggles whether the output renders out an alpha channel, useful for feeding into other effects. wherein you don't want to modify what's mean to be transparent areas of the shot. Random Seed allows you to provide more variety to the distortion by setting it to a new number from which all the distortion controls to begin from, giving the distortion a new and slightly more unique look. Blend with Original is useful for make the VHS effect more subtle overall. Turn this control up towards 100 to blend it in completely with the original footage.